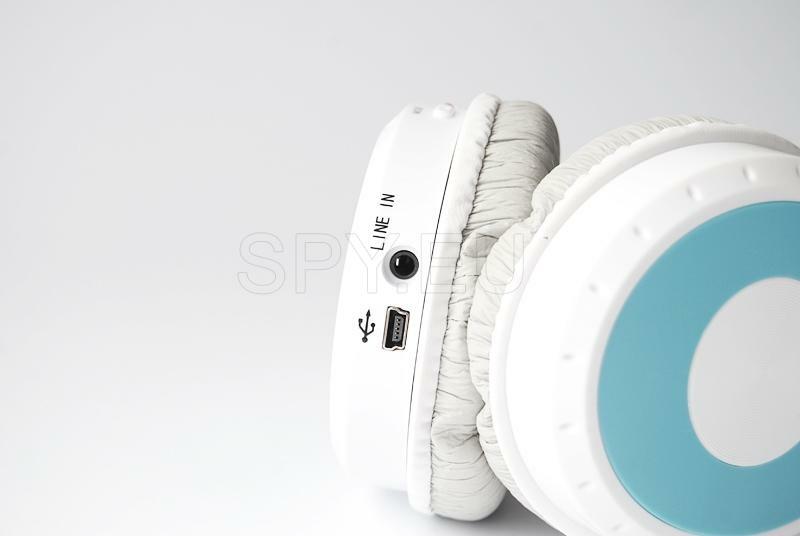 Introducing a unique product that combines many features that make it the perfect music and data storage device. With these headphones, you can listen to your favorite music with the embedded MP3 player, receive all the radio stations that are broadcast in your city, save files and read read. The unique design makes them the preferred fashion, fresh - just for the summer season. The option to use additional Memory Card gives you the freedom to save all your favorite tracks for the upcoming long journey to the sea, for example. 1. 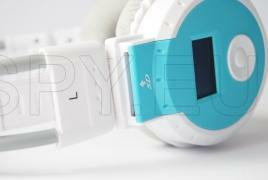 The ability to play music files from your memory card, type MMC, Micro SD, TF card. 2. 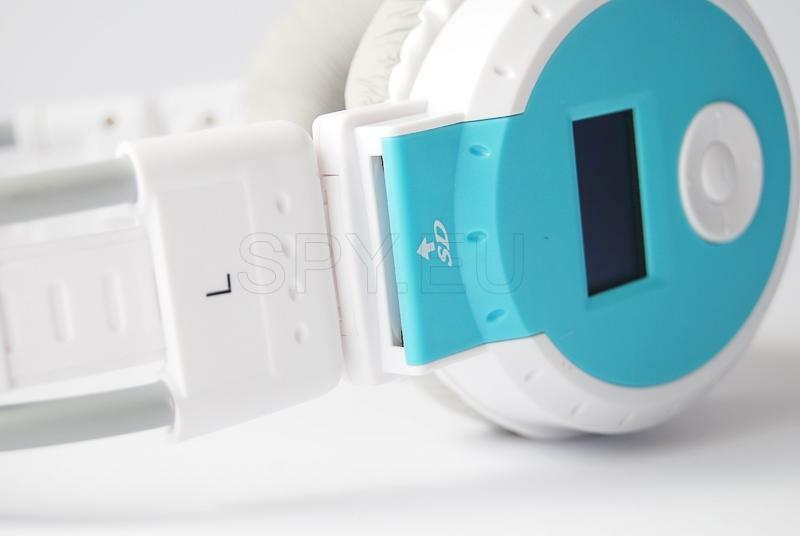 You can copy and read from the Memory Card inserted in the headphones when they are connected to a computer via the included USB cable. 3. Radio function covers all radio frequencies within a given area. 4. 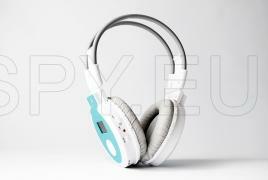 Listen to music from other devices such as transmitter or home audio system, CD player, an audio cable connected to the 3.5mm headphones. 5. 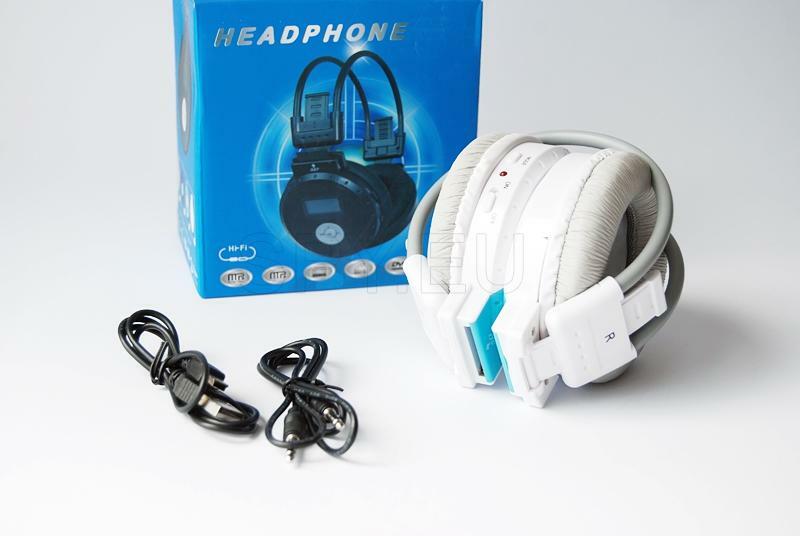 Can be used as a PC headset. 6. 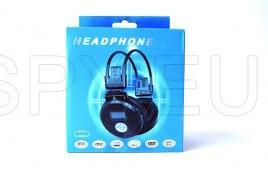 High quality sound and design, providing ease and practicality. 7. Rechargeable battery, polymer, secure and practical to complete 12 hours of operation before needing to be charged again. 1. Unplug the headphones and reposition the switch to OFF. 2. Plug the charger into the appropriate jack. Plug into the mains. At this point the display should be written off USB and red light flashing. When the battery is fully charged, the red LED light goes out and the word USB disappears. 3. 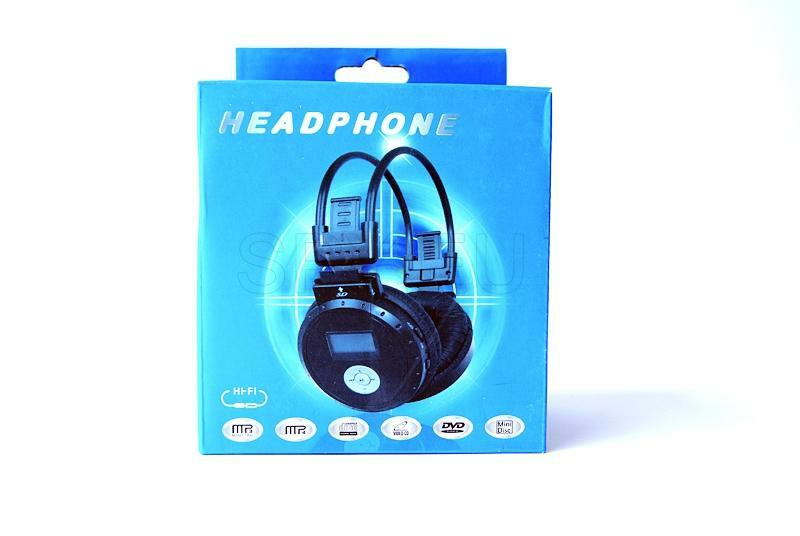 If the voltage is below 3.3V, the headphones should be disconnected. 4. You can charge the battery through the USB port and the corresponding cable kit. Note: Never touch the device switches do not click when the battery is charging or when just transferred some information on him or computer. 1. In the off position, insert the memory card with music files that you have stored in it into the appropriate slot, then turn the key ON. / OFF. position ON, to launch the music player to the first track from the leaves, but also with the general condition of the tracks, such as time, audio format, status and power. 2. If you want to adjust the volume, simply press the '+' to increase and "-" to zoom out. 3. While playing music, you can select the next or previous song with the buttons - NEXT or PREV. To fast forward / rewind, press and hold the key. 4. To play press pause key with a symbol in the future. 6. 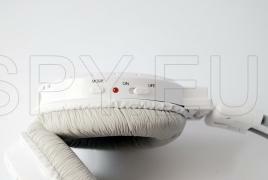 Connection with other audio devices with audio cable, such as home audio system, CD player and more. 7. To turn off your multimedia headset, just turn the switch to OFF. 8. To save power, the headphones are designed to power down when more than 60 seconds is a pause. 1. In a state of initialization, press key twice to switch modes from MP3 to FM radio. 2. Device automatically starts searching for available radio stations supported radio frequency. When you find it stops, and you can press a single symbol next to save station for further listening. Once the scan is complete, the first stored radio station turns on. Station selection buttons for going back and forth. 1. Display my written NO SD. - In this case, probably no memory card in the headset, just place one and listen to music. If you have a card, but still this inscription stands, check that you have correctly inserted the card. 2. The red light flashes - Check memory card is inserted correctly. 3. Let headset player is included, it appears the list of songs, but I do not hear any sound, but loud. 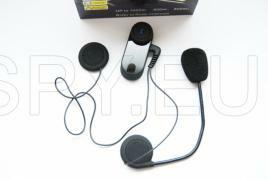 - Check the card inserted in the files and that all accessories are in place.